This bright idea seems to be able to help guide other people through the dark. 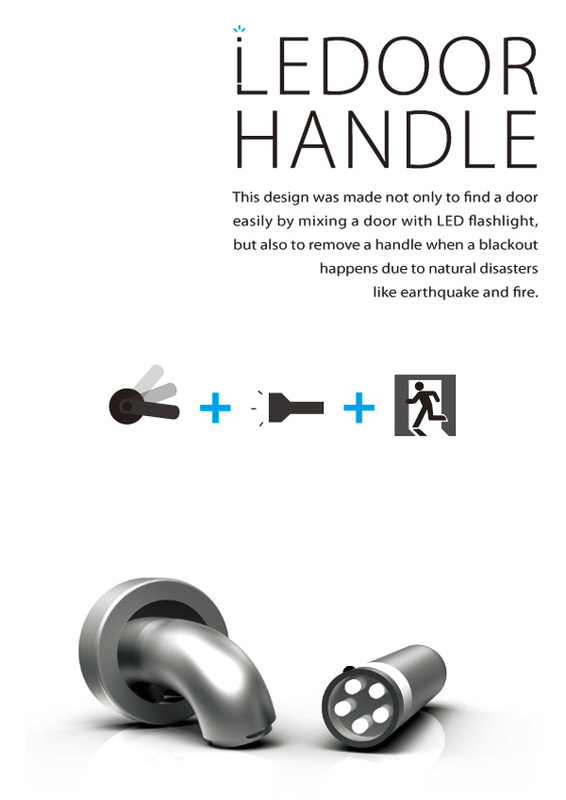 The LEDoorHandle was designed by a team of three designers: Kun-hee Kim, Kei Shimizu and Nguyen-vu Dang. 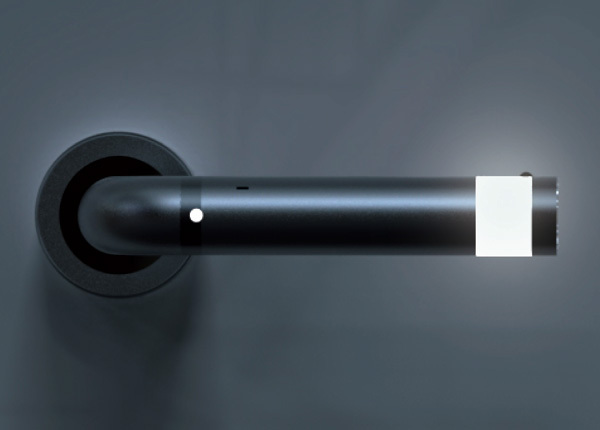 The concept behind this modern door handle incorporates both a LED Flashlight and a highlighted door handle design in an idea that could save lives. During a blackout, it would be easier to find your way if the door handle glows in the dark. 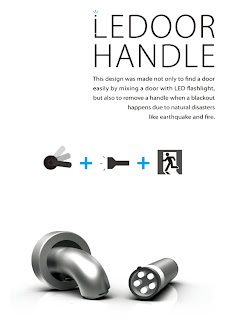 The LEDoorHandle found on Gadget Review is not only for emergencies, it can also decorate your door every day and night. Using the locking-motion of the handle to harness and charge the lithium batteries of the flashlight, the door handle displays another high-tech feature. Featuring a light sensor mood light, the modern door handle can enhance the room’s atmosphere.